For additional information about this book, visit the website changingforthehealthofit.com. You’ve read the weight-loss articles–in magazines with impossibly skinny people gracing the cover. You’ve seen the books on heart health―by authors who look like they’ve never tasted an ounce of fat in their lives. You’ve heard the lectures on dietary-related disease―by those who seem to look down their noses at real, live, burger-loving Americans. Who can possibly relate? Author Dr. Normand Ledoux used to be just like you―until a near-heart attack made him realize that for the good of his health and his loved ones, he had to make a change. Changing for the Health of It is the first and last weight-loss book you’ll ever need. Formerly obese himself, Ledoux presents the approachable, effective method he used to lose 75 pounds―and keep it off―simply by adjusting his attitude and changing the way he approaches food. Do you think healthy living means sacrificing meals, recreation, and quality of life? Far from it! If you’re really willing to try, you’ll find that the myriad gains far outweigh any perceived losses. • Spend quality time with family and loved ones. • Eat delicious foods in hearty, filling portions―really! • Continue to enjoy football parties, tailgating, and other events. • Discover simple ways to cut down your daily calorie intake (your taste buds won’t even notice). • Keep up with the little ones in your life without being immediately out of breath. • Learn how it feels to be able to do more, go farther, and feel better, every single day. Don’t sacrifice you health―or life’s culinary pleasures. Take it from someone who’s been there: the only “losses” you’ll experience will be your shrinking waistline and your blood pressure! 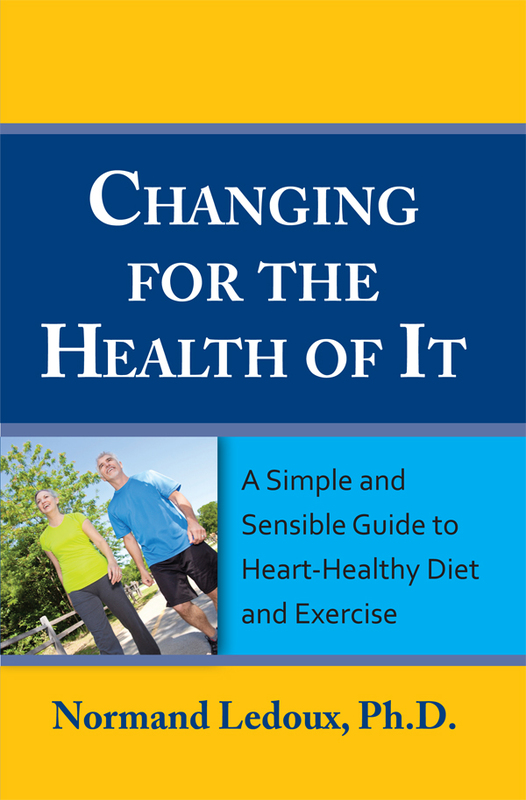 "Changing For The Health Of It" is a unique "how-to" diet and exercise book, due to the perspective of the author and the overall manner in which the topic of positive lifestyle change is addressed. The reader will discover that it is much easier than they think to lose all the weight they need to, keep it off and have a healthy fitness level. You just have to give it a real try. This book provides the specific information and encouragement to do just that. The reader will learn (as I did) that achieving a healthy lifestyle is easy and very much worth it. There is nothing to be "put through" or to endure - no "take it a day at a time" struggle. This book provides very specific, effective and easy to apply information. It gives answers to important diet and exercise questions. This is done in clear, concise layman's terms, with humor and plenty of examples. The reader is further assisted in changing the attitudes and misconceptions that very frequenlty prevent people from giving positive lifestyle changes a real try, by either not really making an attempt or becoming easily discouraged and giving up too quickly. This book has a wide range of potential applications. It can be marketed for various medical applications, including as a resource for patients following heart procedures/surgery. It pulls together and makes sense out of the typical multitude of pamphlets, informational "talks" and other recommendations made at such times. It could be utilized as part of cardiac rehab programs, and by physicians/health care professions in general to assist their patients in successfully making and maintaining positive lifestyle changes. The book can also be used by the general public, as well as, being an ancillary resouce in a variety of college health and related courses. The goal of this book is to help as many people as possible achieve healthy lifestyle changes in the areas of diet, nutrition and exercise, regardless of where they currently are on the "out of shape" continuum. This book can be used as a how-to for prevention, improvement or recovery. It can be utilized by people with wide ranging needs, interests, goals, and tastes. Dr. Norm Ledoux received his Ph.D. from the Marquette University School of Education in 1981. This followed a master's degree in clinical psychology from Marshall University. He has worked as a school psychologist for thirty years. He previously developed a primary prevention stress management program for students, teachers and parents. This school-based program was the first of its kind in the country. This led to being a member of a research team for a period of time that was centered at the University of Vermont, with resulting publications regarding the effectiveness of the program and the overall topic of family stress. Dr. Ledoux lives with his wife of thirty-eight years in Derby Line, Vermont. They have two adult children and three grandchildren. He hopes that this book will help you and yours to do the same. He found out that it is not hard and very much worth it.